Written by Stanley I. Greenspan, MD, "the world’s foremost authority on clinical work with infants and young children with developmental and emotional problems" and Gil Tippy, PsyD, a founder of The Rebecca School and its Clinical Director, Respecting Autism: The Rebecca School DIR Casebook for Parents and Professionals is a book that is essential for anyone wanting to understand the Developmental, Individual-Difference, Relationship-Based (DIR) teaching model. The DIR "methodology is based on the core belief that relationships are the foundation of learning." In the introduction, Dr. Tippy explains why he has chosen to follow the DIR methodology as opposed to Applied Behavioral Analysis (ABA). Dr. Tippy also provides a thorough description of each facet of the Developmental, Individual-Difference, Relationship-Based (DIR) teaching model. The philosophy of the Rebecca School is based on respect. "At Rebecca School, building meaningful, respectful relationships is the foundation for learning. With collaboration between school, home and the community, the learning goes beyond the classroom." I had the pleasure of touring the Rebecca School a few years ago. And what I appreciated about the program was the emphasis on the child's strengths rather than their weaknesses. The philosophy of the Rebecca School is evident through out the book and it is obvious that Dr. Tippy is personally invested in the students at the Rebecca School. 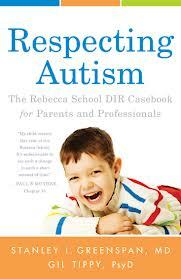 Respecting Autism serves as a learning tool for both professionals and parents. For professionals, it provides detailed insight into multiple Rebecca School student programs, Dr. Greenspan's recommendations and the program responses based on the Dr. Greenspan's recommendations. 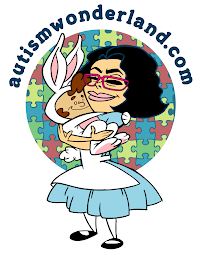 And for parents, it provides what so many parents of children with autism need: hope and inspiration. Regardless of what methodology you or your child's school follows, you can gain something from Respecting Autism. While we follow more of an ABA approach, I now have a better understanding of the DIR model and can incorporate some of the methods into our day to day activities. Disclaimer: I was provided with a complimentary copy of this book, all opinions are my own.